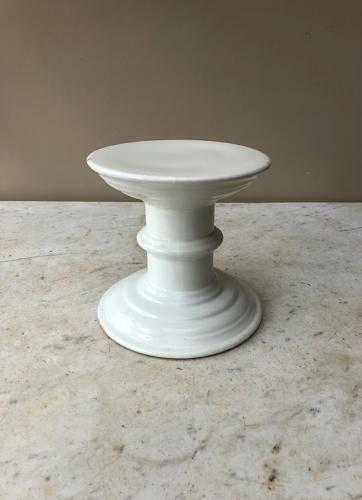 Rare Edwardian White Ironstone Pork Pie Display Pedestal. A rare Edwardian White Ironstone Butchers Display Pedestal for a large Pork Pie. Looks like a similar shaped ham stand but see the top is flat. No damage..no restoration and the base has an old round sticker on it, it isnt a crack.